Dan Crenshaw is a true hero in every sense of the word! He is a former Navy SEAL who served three tours in Afghanistan. He lost his right eye when he was wounded by an IED. He now wears an eye patch. What a disgusting and disgraceful joke to make about a wounded war veteran. The only war Davidson has ever fought in is the TV ratings war. Also disgusting and disgraceful was the laughter of the studio audience. And Crenshaw showed what a classy guy he is by calling attention to the fact that Davidson’s father was among the heroes honored on Veterans Day because he was a firefighter who died on 9/11 when the comedian was only 7-years-old. The folks in the 2nd Congressional District of Texas are very fortunate to have Dan Crenshaw as their representative in Washington. 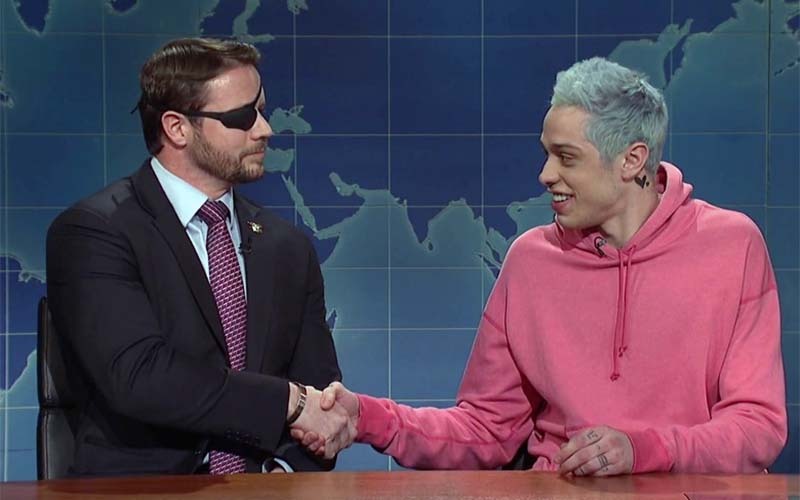 Not a big fan of Crenshaw’s political views, but I respect his service immensely and I think he handled SNL’s pathetic “joke” with amazing class. Thank you for showing such class yourself and helping to prove that even though we may not all agree, we can still be kind! Classy. Would that there were more, on both sides.